This conversation took place sometime in March this year. 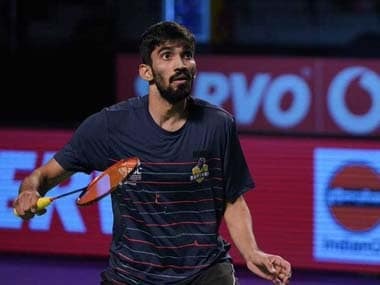 Kidambi Srikanth was just about finding his feet back on the international badminton circuit after an injury had kept him off the sport for over three months post Rio Olympics when R Ramakrishnan, director of Baseline Ventures, the sports management firm that represents the 24-year-old shuttler, told him, "The men's circuit is opening up and it is going to be a case of any player winning on his day." Srikanth responded with a smile, "Wait till I come back." Ramakrishnan thought the comment was said in jest but in hindsight, he realises Srikanth was dead serious. Since April, the boy from Andhra Pradesh's chilli town Guntur has been serving red hot fare on the circuit, reaching three Superseries finals in a row, and what's better, winning two of them. Even the one that he lost – the Singapore Open in April – India won't complain, for he lost to his training partner, B Sai Praneeth. Before his final against Olympic champion Chen Long in Sydney, Srikanth did something he never does. He spent over three hours watching videos of Chen's matches on Youtube. Srikanth clearly did not want the final to go the Sudirman Cup way, where exactly a month ago, he was outclassed by Chen. The venue of that defeat also was Australia. "Srikanth, unlike others, is the kind who does not prepare by watching videos of opponents. He just goes on court and expresses himself. Maybe the fact that he has lost five times to Chen Long in the past was the reason he wanted to understand his rival's game better," said Kiran Challagundla, physio of the Indian badminton team. Back home in Hyderabad, national coach Pullela Gopichand is beaming. His phone chat with Srikanth on Saturday evening had been brief, with Gopi merely asking him to manage the off-court part well. "We did not discuss any technical stuff, only asked him to eat well, sleep well and recover well. He is smart on court," said Gopichand. Among the talent he has been grooming into champion material, conveyer belt-like, at his academy in Hyderabad, Gopi has been consistent in his opinion about Srikanth. That he is world champion material. In fact, Gopi thinks the injury Srikanth suffered was a blessing in disguise. The period allowed the support staff to work on his abs and building strength. Srikanth was out of sight, out of mind for the world's top players during his layoff. The player who was once world number four, slipped to 31 in the rankings. But the rivals had not factored the new, improved Srikanth who emerged in 2017. The fitter Srikanth was a surprise packet. Rival players had prepared for Srikanth only as an aggressive player and were surprised by his defence on court. At the Indonesian Open and Australia Superseries, Srikanth has also surprised all with his cross court drop shots at the net, his knees taking the pressure of the perfect execution. Those who understand badminton will tell you it is not an easy shot to play as the pressure on the legs and the racquet has to be in complete harmony to ensure the bird just kisses the top of the net to stump the opponent. The good news is that Indian male shuttlers are now hunting as a pack, with four of them - Srikanth, Sai Praneeth and HS Prannoy, Sameer Verma, coming good in recent months. But despite an embarrassment of riches that has now emerged in men's badminton, it would be premature to announce India as a powerhouse yet. While establishing podium finishes in Superseries events is certainly creditable, the real challenge lies in winning the world championships and All England. Which is why there are no over the top celebrations. 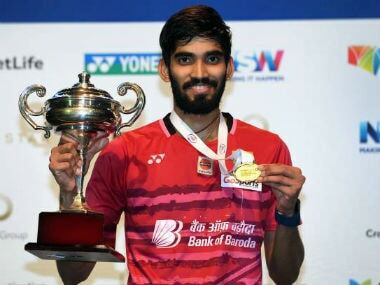 Along with PV Sindhu and Sai Praneeth, the only two Indian players still in Sydney and the coaches and support staff, Srikanth had a quiet dinner, soaking in the two titles he will return to Hyderabad with, on Monday night. Srikanth and the rest of the Indian shuttlers will now prepare for the world championship in August in Glasgow. With Srikanth having stamped his class, rivals will keep an eagle-like eye on him on court. He will simply have to let the bird do the talking.